The safety and stability of the electricity grid is strictly related to the achievement of a perfect balance between supply and demand. In the past, the continuity of the electricity supply and the programmable characteristics of carbon-based and hydro-power plants have allowed to constantly meet the electricity demand without significant risks for the grid. In the last years, the need to achieve a carbon-free electricity generation target has favored a significant increase in the production of green energy from renewable sources (i.e. mainly wind and PV). However, the highly fluctuating and unpredictable characteristics of these renewable sources, together with their delocalized energy production, have had a negative impact on the safety, stability, and efficiency of the electricity grid, requiring the grid to be operated in a smart way and to include a higher energy storage capacity. 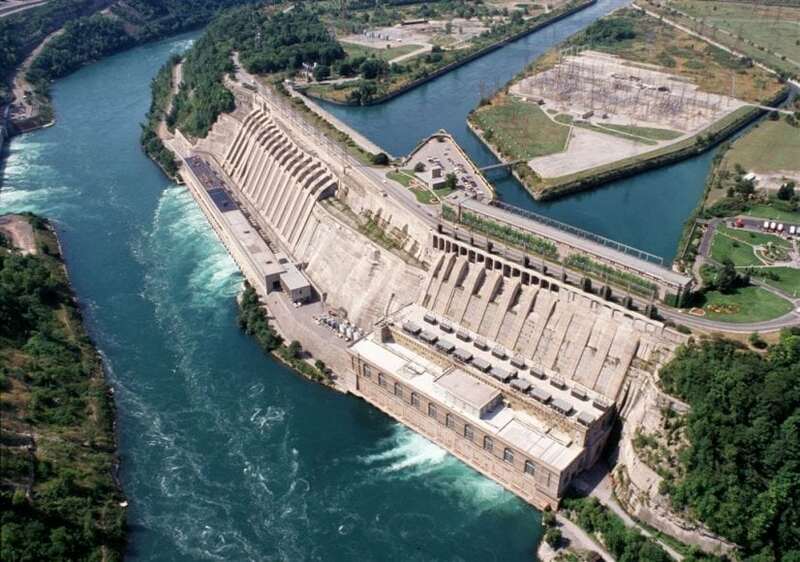 In such a context, Pumped Hydro Energy Storage plants (PHES) represent an ideal complementary solution for intermittent renewable energies because of their ability to provide large storage capacity with excellent grid connection properties, high cycle efficiency range and competitive costs. Pumped Hydro Energy Storage (PHES) is among the most efficient and flexible large-scale means of storing energy available today. This proven technology allows not only to produce electric energy, as hydropower plants do, but also to store it in the form of gravitational potential energy of the water. During periods with high demand or energy high prices, the water, stored in an upper reservoir, is released through turbines to a lower reservoir in order to produce electricity. During periods with low demand or energy prices, the water is pumped back from the lower reservoir to the upper reservoir to store it. The possibility of changing from generation to pumping and vice-versa is offered by reversible pump-turbine machines, able to act as a pump or as a turbine by means of the reversibility of shaft rotation and discharge direction. However, to favor a deployment of a significant share of renewable energy sources, PHES should be able not only to restore the balance of supply and demand (by energy consumption or production) but also to provide frequency regulation services, requiring PHES to be operated over a wider range of power and with the shortest possible reaction time. At these operating conditions, reversible pump-turbine machines suffer from an unstable behavior, which represents a technical limit for the exploitation of a more extended continuous operating range of pump-turbines. In particular, in pumping mode, at partial loads, the pump-turbine experiences the onset of unsteady fluid-dynamical phenomena, causing a sudden amplification of the machine hydraulic losses, with a consequent drop of the pump-turbine head and with significant vibrations on the mechanical components and on the hydraulic circuit. Experimental and numerical analyses identified a possible relation between this unstable behavior and two main design parameters (rotor-stator radial gap, specific speed), but no innovative design criteria aimed at eliminating the operating limits imposed by the unstable operating area have been proposed. In turbine mode, another unstable behavior negatively affects turbine start-up, synchronization to the grid and turbine stopping processes, especially during emergency stops. It was related to the blocking action of vortexes, imposing a pumping behavior to some runner blades, which are normally expected to act in turbine mode. Because of this, even small speed variations of the pump-turbine (i.e. 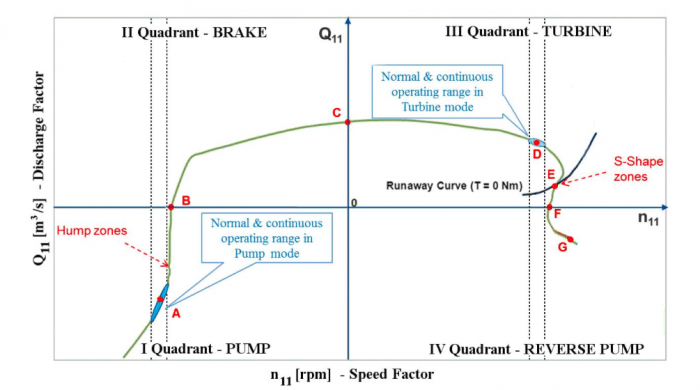 2 rpm), a common regulation mode of the turbine production at full load, would determine at partial loads a sudden change of operating mode, from pump to turbine mode and vice-versa with high risks of damage to the electrical and mechanical equipment of the power plant. 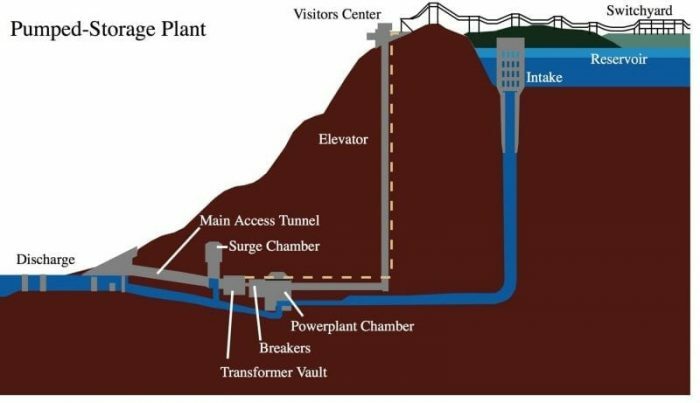 Some solutions have been proposed to control this critical behavior of the pump-turbine, but no innovative design solution has been proposed to eliminate this critical aspect, significantly limiting the regulation capability of pumped-hydro power plants. The needs of the future electricity grid hence require pump turbines to be optimized in order to provide a wide range of power in generation mode and the full benefit of regulation in pumping mode. The highlighted complexity of the phenomena in both the operating modes (generating and pumping mode) requires the development of an innovative design approach, taking into account simultaneously both the operating modes and their design parameters. Only this approach, which has to be based on advanced multi-objective optimization methods combined with Computational Fluid Dynamics, will face the grid challenges, allowing designing the new generation of pump-turbine, representing the best compromise between performance, stable behavior and regulation capacity. These findings are described in the article entitled “Unstable behaviour of pump-turbines and its effects on power regulation capacity of pumped-hydro energy storage plants”, recently published in the Renewable and Sustainable Energy Reviews Journal (doi: 10.1016/j.rser.2018.06.018). This work is the result of a collaboration between the TES (Turbomachinery and Energy Systems) Group of the University of Padova and GE Renewable. In particular, the work was conducted by Giovanna Cavazzini, Giorgio Pavesi and Guido Ardizzon from the University of Padova and by Olivier Teller and Jean-Bernhard Houdeline from GE Renewable. Starting from the knowledge of a leading manufacturer of PHES (GE Renewable), this paper presents a comprehensive and detailed description of the possible operating modes of a pumped hydro energy storage plants, highlighting the effects of the hydraulic characteristics of pump-turbines on the operating capability of the plant to start-up, shut-down or change its operating modes. For the first time, this will allow to fill in significant knowledge gaps in the field. Starting from the well-known research activity of the TES group of the University of Padova in the field of hydro and pumped-hydro power plants, it presents a detailed review of the studies published in literature on the topic with the aim of providing an overview of the most significant results achieved, of the approaches adopted and of the challenges in designing future generations of pump-turbine machines.